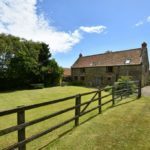 **** RURAL FOUR BEDROOM BARN CONVERSION WITH STABLES AND PADDOCK **** THIS WELL PROPORTIONED PROPERTY IS SET WITHIN GENEROUS GROUNDS INCLUDING AN APPROXIMATE 1 ACRE PADDOCK, WITH THREE LOOSE BOXES, HAY BARN, GREEN HOUSE AND LOVELY GARDENS. 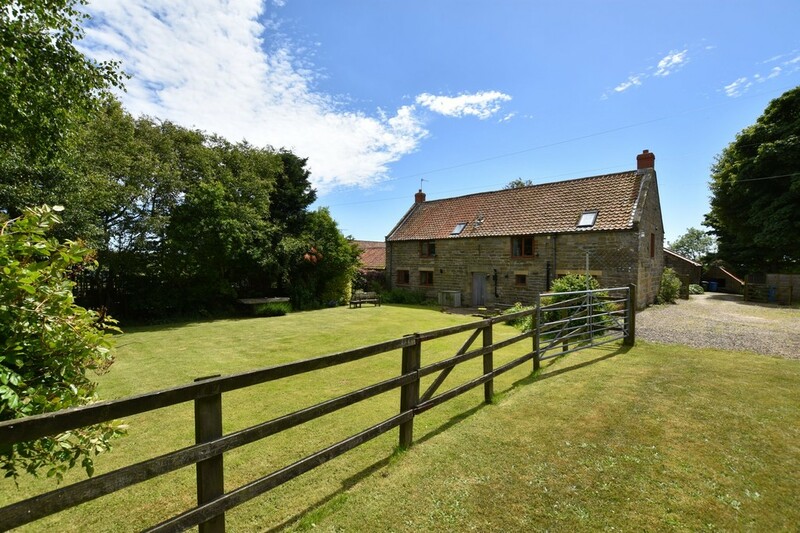 THE PROPERTY IS SITUATED IN THE VILLAGE OF STAINTONDALE WHICH LIES BETWEEN WHITBY AND SCARBOROUGH IN THE NORTH YORK MOORS NATIONAL PARK. The house when briefly described comprises entrance porch, hallway, dual aspect lounge, front facing dining room, farmhouse breakfast kitchen, utility room, study and w/c to the ground floor, with four double bedrooms, two en suite bathrooms and house bathroom to the floor above. Master bedroom with exposed beams to the double height vaulted ceiling. A lovely spacious feel to the whole property set in an idyllic location.